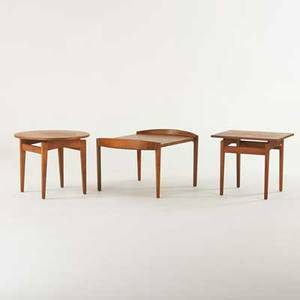 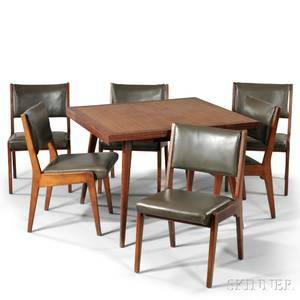 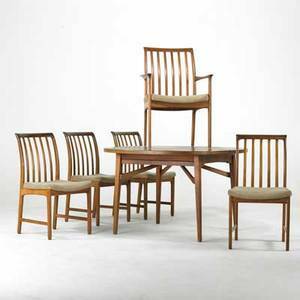 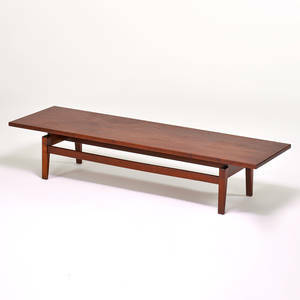 Jens risom, etc; dining table and five dining chairs, 1960s; teak and microfiber; unmarked; table: 29 1/2" x 48" x 48", three leaves, each: 16" armchair: 37"x 24 1/2" x 25"
Jens risom; jens risom designs; low table/bench, usa, 1960s; teak; metal label; 15" x 72" x 21"
Jens risom walnut end table, and upholstered chair on iron base. 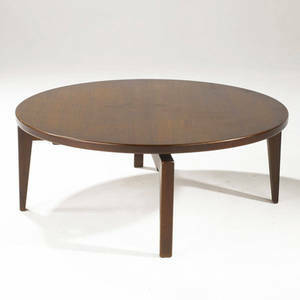 risom decal to table. 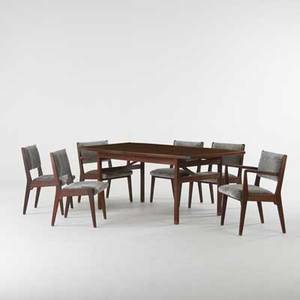 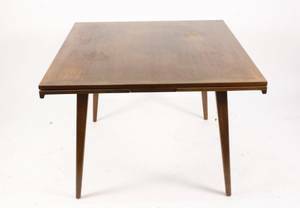 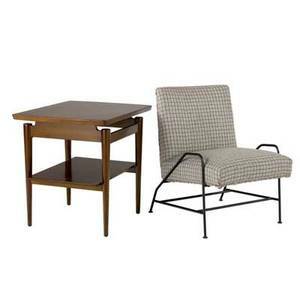 table: 24" x 27" x 20 3/4", chair: 28 3/4" x 21" x 25"